It’s important to understand how to access essential services and information prior to moving to Greece. When you purchase a property in another country you will need to consider how to access the essential services. Here is a brief run-down of everything you need to consider. Greeks are among the healthiest people in the world and enjoy a long life expectancy. Data compiled by the OECD reveals that Greek people have a higher life expectancy than us British. Anyone – whether European or not – requiring medical help in Greece should receive basic care free of charge even if uninsured, albeit with a €1 charge for prescriptions. This was a key pledge to migrants by the government during the migrant crisis. Anyone requiring medical assistance in Greece should receive basic care free of charge even if uninsured. However, a €1 charge for prescriptions will be charged. This was a key pledge to migrants by the government during the migrant crisis. British people visiting Greece can use their European Health Insurance Card (EHIC) for medical services. You can get your EHIC free of charge via the ehic.org.uk website. British pensioners living in Greece should apply to the UK Pension Service to get an S1 form by calling 0191 218 7777. Those below retirement age moving permanently should pay into the state health system, as with national insurance. They should do this via their Citizens Service Centre, known as the KEP. The body responsible for health is the National Organisation for Healthcare (EOPPY), like Britain’s DHSS. Contact your local EOPPY office online at eopyy.gov.gr to find out how to register with a doctor. 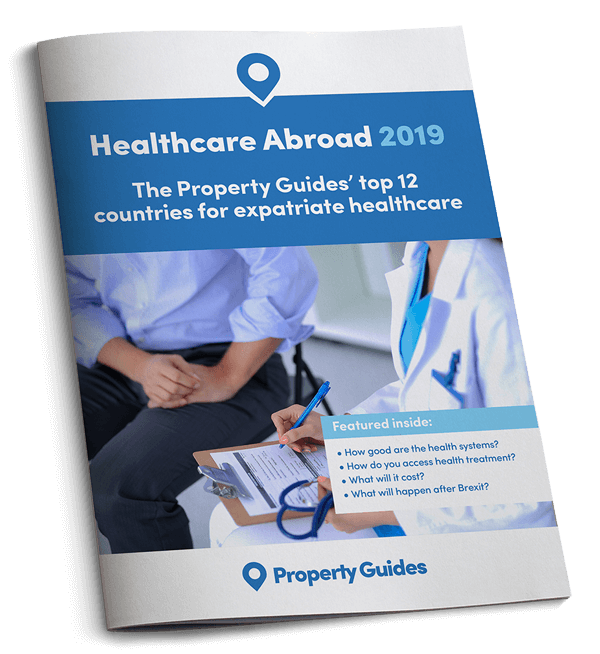 The Brexit vote is bound to complicate matters, and many expats are already choosing private healthcare arrangements. You can expect to pay around €500 for a family of four per month or €800 for a retired couple. Bear in mind that if you are taken ill on an island you will end up in a Greek state hospital emergency room, as most private hospitals are found in big cities. Greece has a good, inexpensive bus service compared to the UK. You can expect a one way ticket within most cities and between towns to cost little more than €1. The rail system is limited to the mainland and has been severely hit by austerity cuts. In villages and islands the taxi is the most common form of transport, simply ask at the local cafeneon. You can expect to pay €3 as a starting tariff, which is a little cheaper than the UK. New taxi services such as Uber have arrived in major cities and are sure to reach the islands eventually. Greece has the greatest ferry fleet in the world; hundreds of vessels travelling to hundreds of islands every day of the year. The catamarans and hydrofoil services are faster than ferries but more subject to disruption from the weather. Travelling by boat can seem positively archaic for many British visitors, used to getting everywhere by jet, but part of the appeal of the Greek lifestyle is in taking things a little slower, adopting a more relaxed attitude to life and enjoy the sensations and scenery of sea travel. For an idea of prices and times, a ferry from Athens (Rafina) to Mykonos takes around five hours and costs €30, while a hydrofoil or catamaran takes just over two hours and costs €50. Your arrival in Greece? Here’s where it all starts! Flights to Greece are plentiful in summer, but sparse in winter. While Spain has year round flights from every corner of Britain to every corner of Spain, outside of high summer, you may struggle to reach anywhere in Greece directly, except Athens and Thessaloniki. The airlines have expressed frustration with the situation but say that unless hotel owners are willing to open longer in the season there is little point in them flying tourists in which is a shame if you wish to enjoy a warm February weekend in your Corfu home. That situation may be changing. Ryanair has opened a new base in Corfu and says that Greece is a big growth area for it. There is also a new programme of investment in regional airports led by the EU Commission which, along with new German management of 14 regional airports, will see hundreds of millions of euros going on upgraded airports, including in Milos, Syros, Naxos, Paros, Mykonos, Samos, Santorini, Kos, Chios, Corfu, Kephalonia, Zakynthos and Chania. Greek is significantly different to English compared to most European languages, with its own alphabet being the first barrier. According to one US government estimate it takes native English speakers an average of 44 weeks or 1,110 class hours to learn Greek proficiently, a little longer than Spanish, French or German (25 weeks and 600 class hours). Online learning: There are both free services via YouTube, or you can buy tuition via services like Skype. Multimedia: There’s no shortage of CD/book/online combination systems to learn Greek. The most well known are Rosetta Stone and Michel Thomas, comprehensive and proven to work but costing £100. BBC Languages also have fun ways of learning Greek. Books: Don’t forget the old style textbooks which we all struggled through at school. You get to see the gradual build-up of vocabulary, verb endings and tenses and they are available for almost nothing via Amazon. Language holidays: Learning in situ has many advantages, not least of which is being able to do some house-hunting while you’re there. Various private companies and educational organisations such as Cactus Languages and the Alexandria Institute offer courses in Greece throughout the year. If you’re setting up a new household in Greece you will want to take some treasured possessions with you. Maybe you will take everything you own if you’re going permanently. Going by sea, to take the contents of a small apartment door to door from the UK to Greece, including packing and unpacking, costs around £1,500 to £2,500 and usually takes from eight weeks. Moving a similar volume of stuff by air costs two to three times more, but gets there in a day or two. By road from central Britain to central Greece is 3,300 kilometres, with around 30 hours driving time. Shorter routes are available via Italy if you include a sea crossing, but they are no quicker or cheaper. Hiring a ‘man with a van’ is a simple and controllable option and you may even take a place in the van too, but remember that you will normally be paying him or her to take his van back empty. 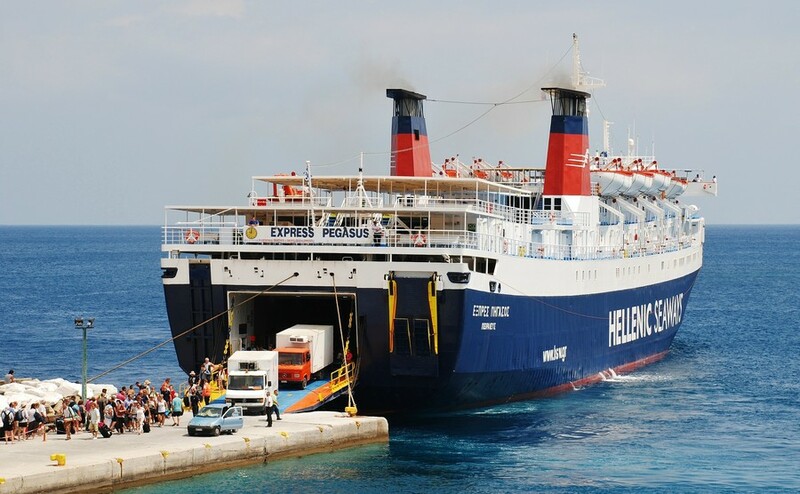 Large removal companies taking yours as a part-load will take longer and need booking earlier as they pick up several peoples’ stuff along the way, but they subsidise the trip by sharing driver, ferry and fuel costs and by bringing someone else’s possessions back from Greece. The more flexible you are the cheaper will be your quote, and you should get at least three quotes in writing. The British Association of Removers (BAR), International Association of Movers (IAM) and Overseas Moving Network International (OMNI) are good places to find a reliable and insured removals company, although it is usually advisable to insure your possessions yourself, which will be one or two percent of the value of the goods. You should aim to book several months in advance in order to get the best deal. Education in Greece is generally good despite the country’s problems. Austerity cuts mean schools may be short of textbooks, buildings might be unkempt and school trips few and far between. However, Greek teachers have made great efforts to ensure that their children’s futures don’t suffer. School in Greece starts a year later than in the UK. Children attend primary school – Demotiko – from age six, although as in the UK most will attend a voluntary kindergarten prior to this. Primary school goes on to year six, after which children attend secondary school. This is known as Gymnasio in the first three years and Lykeion in the following three. English language is a compulsory subject with at least two hours of tuition per week. The school year is much like the UK one, with three terms. In most schools classes start at 8.15am and continue until 1.30pm-2pm. English language is a compulsory subject with at least two hours of tuition per week. There are many private schools in Greece. In fact it has one of the highest percentages of private pupils in Europe. Many private schools have suffered a reduction in numbers following the financial crisis. Some international schools conduct lessons entirely in English, but only really in the main cities, especially Athens. On most islands, even in Crete, your children will be educated entirely in Greek. Home schooling is technically illegal in Greece, as it is in many European countries. If you can demonstrate that your child is learning to a proper curriculum cared for properly, however, you are unlikely to get into trouble. If you are staying in Greece for more than three months you should obtain a residence certificate from the police or aliens’ bureau. Until the result of the Brexit negotiations is known there is no guarantee that UK nationals will be allowed to live and work in Greece. We were certainly allowed to live there before we joined the European Union, however, so the expectation is that we will be in the future too. If you are staying in Greece for more than three months, you should obtain a residence certificate from the police or “aliens’ bureau”, which may well require you to travel to a regional capital. There, you must provide evidence of identity, where you will be living, that you have sufficient income to live on without being a burden to the Greek state, and that you have a health insurance or social insurance number. Certain occupations, especially involving childcare or catering, require a medical certificate, while self-employed people will need to have this confirmed by the tax authorities. The government has imposed VAT on language schools, raising the opportunity to teach English privately. As Brexit negotiations begin, the rules under which British people may work in Greece remain in doubt. For those who do need to earn a living and wish to start a business, Greece came 60th out of 189 countries in the World Bank’s “ease of doing business” report. This is calculated from such factors as how easy it is to buy property, obtain planning permission and enforce contracts. Greece was noted by the World Bank for being one of the biggest improvers in 2015. Property: Many expats have used their homes to make money. Possibilities include buying in a tourist hotspot, enjoying the quiet Greek lifestyle in the off season and renting it out for maximum profit in the heat of summer. Accommodation sharing sites such as Airbnb and its many imitators have made informal property rental much easier, letting out a room in your home for example, or the whole property. Another traditional money spinner for expats has been looking after each others’ homes and holiday rentals, including key holding, cleaning between arrivals and welcoming guests. English teaching: Many Greeks see their future outside the country and learning high-quality conversational or business English is vital. 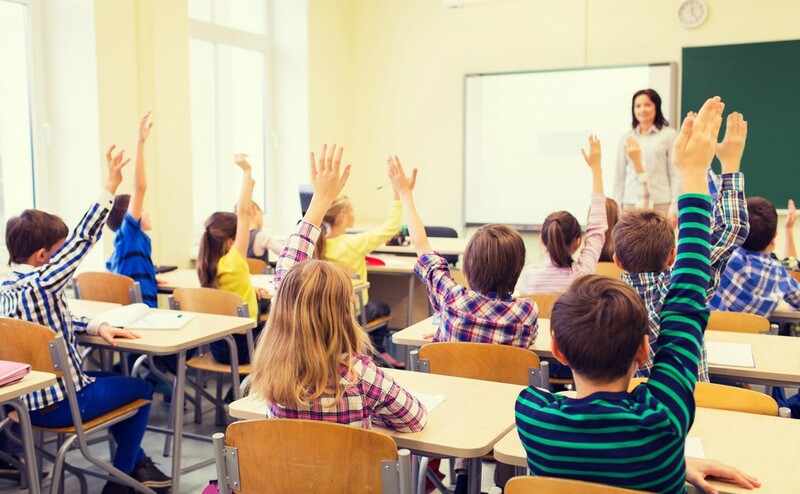 The government recently imposed VAT on language schools, raising the opportunity to teach English privately. Hospitality: If you can’t speak the local language well enough to get a job, many new arrivals in a country get to work in the universal language of food and hospitality. There’s no shortage of hotels up for sale, even though tourism has been increasing. The British have traditionally been the biggest tourist market in Greece and being a fellow countryman can have certain advantages when you’re trying to attract and welcome guests. Although Greece has generally stayed free of the “full English breakfast served here” type of establishments that you see in Spain, there will always be a market for that in some areas.